You guys- I haven't touched any holiday sewing. I claimed that would be my focus, but it's just not been happening. This DYO Sampler project- something I started on because of a whim- has been an obsession. It's so much fun. I get to try things out without committing to numerous identical blocks. It was a practical choice. There are many quotes that I love but I didn't want to choose something that was quite long. I want the stag to be the focus. It reveals my connection to New Hampshire, where I grew up. It's the predominant phrase on NH license plates that makes me laugh: while so many states go with something light-hearted like: "the peach state," "vacationland," and "birthplace of aviation" - NH is all about making a bold political statement. I am sure there is some interesting history behind this. 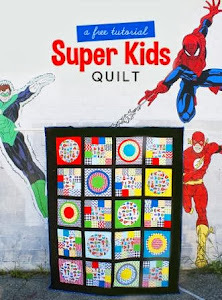 I encourage you to pick up a copy of Word Play Quilts. I did this entire phrase in one evening- I'd say it took me about three hours. It was easy and fun. I found that "v" was the most difficult but it only took me one try. Care had to be taken to have similar sizes for each word and I was also very attentive to my fabric choices- striving for high contrast so that it would be easy to read. Needless to say, I love the NH block! 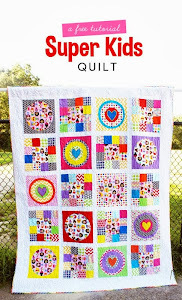 And I completely agree about sampler quilts! Making repetitive blocks can be so tiring!